If you’re visiting Austin, TX and have finally had your fill of barbecue and tacos, maybe you’re ready to try something different, like maybe a little chocolate. Oh, who are we kidding, there’s no way to ever have your fill of mouth watering meats, but we still invite you to check out the top 5 chocolate shops in Austin for a little sweet treat to round out your feasting. 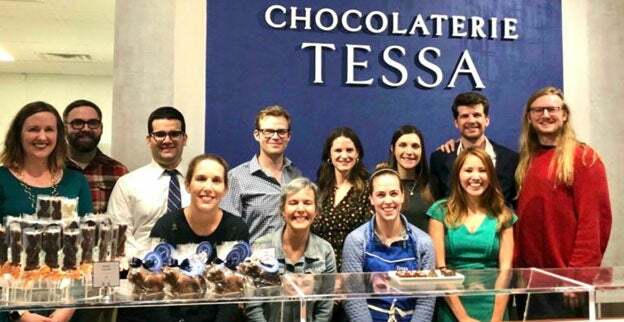 Chocolaterie Tessa was started by Tessa Halstead and her father, chocolate pioneer Rex Morgan of Morgen Chocolate. It’s a family-owned, artisan chocolate company dedicated to handcrafting fresh, delicious confections using the world’s finest chocolate and ingredients. Stop in and ask to try any chocolate that strikes your fancy. The team at Chocolaterie Tessa is dedicated to making sure that people walk away with assortments they’ll love. Fans rave about the chocolate thins, the salted caramel milk chocolate, and the harder darkness chocolate. Chef Owner and Chocolatier Nicole Patel started making chocolate for her friends and family in order to relieve stress from her engineering job. 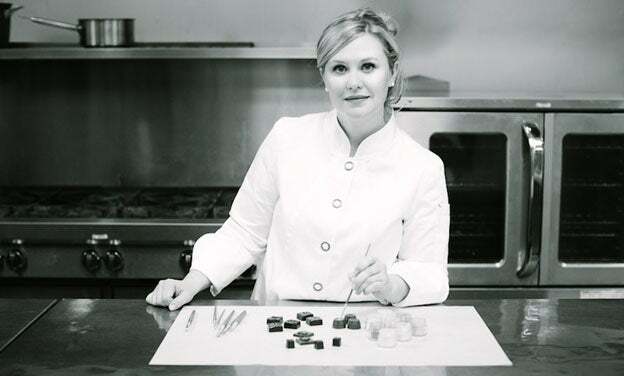 Ten years later she was named a Top 10 Chocolatier in the Americas. The award-winning chocolates handcrafted at Delysia, located in an industrial area in Cedar Park, are made using only the finest quality, sustainable chocolate and the freshest ingredients. The result is delectable preservative-free chocolate treats, handmade in the Parisian style, that push culinary boundaries in both delicious and creative ways. Stop in for the complimentary chocolate tasting to get a feel for the exotic flavors or take a leap of faith and let the staff recommend something you’ll like. Fans adore the truffles inspired by beloved Austin eateries. Lamme’s Candies might be the oldest of the Austin, TX candy institutions. The confectionery has been delighting fans since 1885 when David Turner Lamme, Sr. came to Austin to repay the gambling debt that had cost his father his candy store and claimed the store as his own. He changed the name to Lamme’s and, as they say, the rest is history. The company's current bestseller, the world famous "Texas Chewie Pecan Praline," was first produced by David Lamme, Sr. in 1892 after seven years of recipe tasting. Today, the company is run by a fifth generation of Lammes, who are dedicated to continuing the family legacy of crafting world famous confections. Stop in to taste one of the 1000 different items produced by this piece of Austin history. Be sure to taste the Texas Chewie Pecan Praline or the Lamme’s Longhorns! At Maggie Louise Confections, chocolate meets haute couture in an astonishing and memorable way. This unique chocolate shop has reinvented the classic sampler box, making receiving one of these beauties a completely unique and delightful experience. But don’t be fooled, these stunning chocolates aren’t just for show. The nostalgic flavor palette adopted by Maggie Louise Confections also makes the gorgeous treats a fun culinary indulgence. Stop by the flagship store to experience the stylish Parisian atelier-like setting where chocolates are displayed in elegant jewelry cases. Call for Hours: Tues-Sat: 10a-6p Sun-Mon: by appointment only. In 2011, after only selling her luscious handmade chocolate truffles online and at the Barton Creek Farmer’s Market for years, Edis Rezende finally opened a brick-and-mortar shop, much to the delight of her loyal customers. At the store, customers find the same delectable truffles that are available online as well as delectable pastries and cakes. Edis only offers the finest-quality handmade chocolates made from the best ingredients. Fans rave about the freshness and texture of the confections. Stop in to meet Edis and try one of her newest confections or ask other customers for recommendations. They won’t steer you wrong.